More than $25,000 was recently awarded to three interdisciplinary teams at Jacksonville University (JU) through Collaborate JU. This internal grant opportunity was offered by the Office of Research and Sponsored Programs (ORSP). A component of the Florida EPIC Program at JU, Collaborate JU reflects the four EPIC tenets—entrepreneurism, policy, innovation, and commerce. JU faculty are a driving force behind that innovation. A grant award exceeding $14,000 went to interdisciplinary research in marine science and chemistry directed by Assistant Professor of Biology & Marine Science Bryan Franks and Associate Professor of Chemistry Gretchen Bielmyer-Fraser. Both graduate and undergraduate students from both disciplines will join the research duo for field and laboratory experiences. Bielmyer-Fraser examined the accumulation of heavy metal pollutants in the muscle tissue of Atlantic sharpnose sharks. The goal was to find a possible correlation between stress biomarkers and increased metal tissue concentrations in sharks collected from different sites. The results of that initial study provided new insight into toxicity in sharks, inspiring efforts to increase conservation measures. 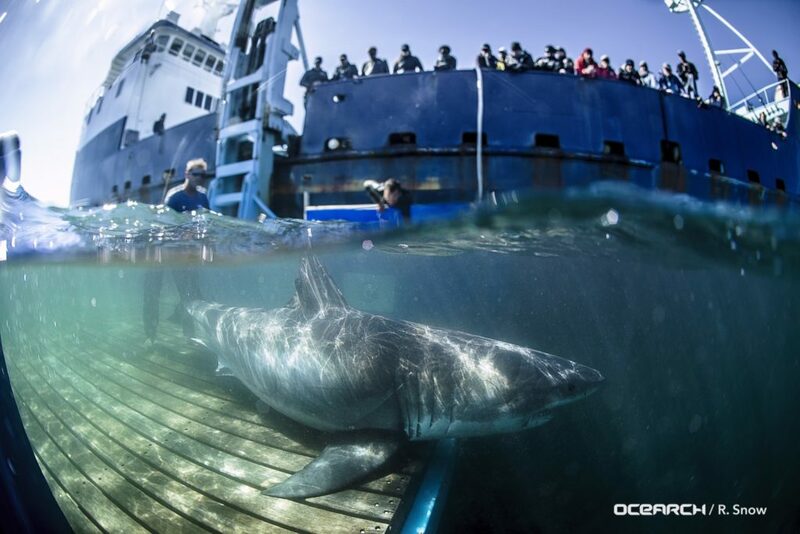 Collaborating with Franks and OCEARCH, the research can extend to large coastal sharks such as Great whites. Any contaminants affecting top level carnivores could have a larger environmental impact. What’s a margay? A small, elusive cat found throughout the neotropics, including Ecuador. 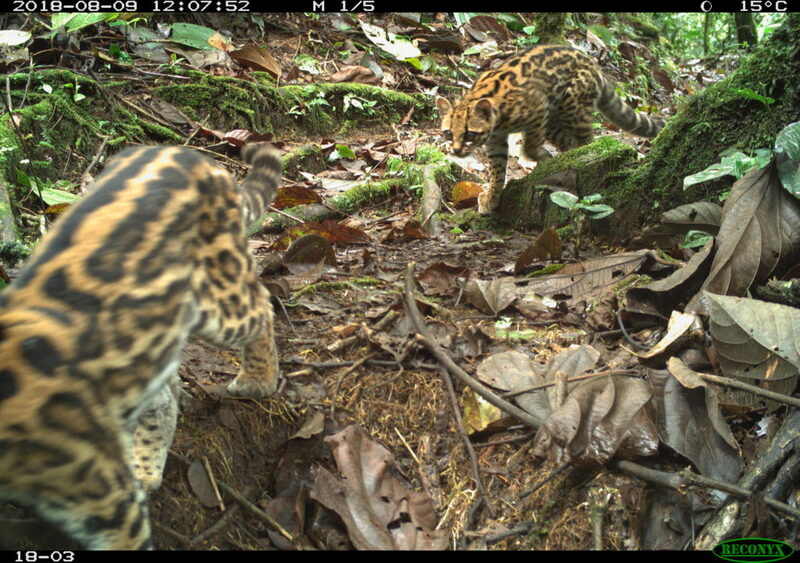 Since 2008, Associate Professor of Biology Natasha Vanderhoff and her colleagues at Francis Marion University and UNC Wilmington have been monitoring margays with camera-traps at Wildsumaco Wildlife Sanctuary. Now, Assistant Professor of Geography Ashley Johnson is joining the team with her expertise in GIS. Their work has shed light on an area that appears to have one of the highest recorded densities of margays anywhere in the neotropics. GIS and spatial analysis software can elucidate population patterns in space and time, while camera trap data allows for photos of individually recognizable margays. The project provides an opportunity for students to gain real world skills related to conservation biology and sustainability. Faculty and students will travel to the site to install cameras, collect data, and explore conservation efforts. Beyond the $5,858 award granted by the ORSP, funding also comes from Riverbanks Zoo. 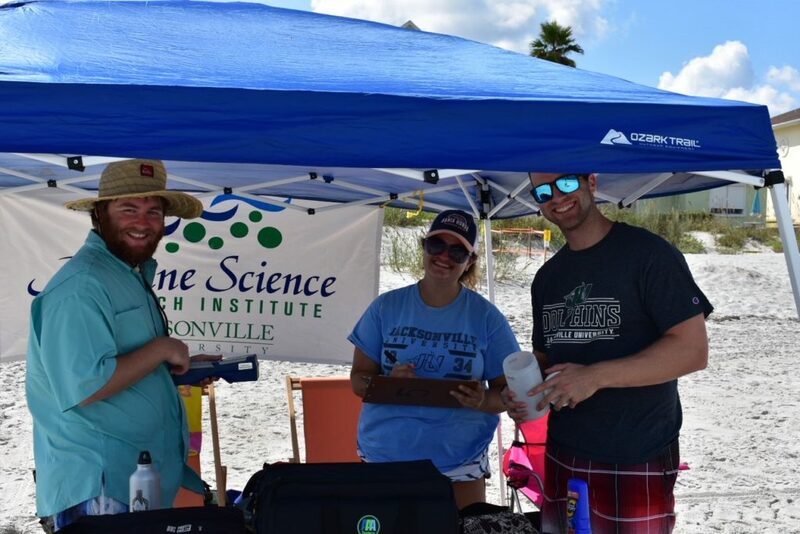 Another exciting research project made possible by Collaborate JU efforts is a time-series study of near-surface environmental variables in the St. Johns River. Associate Professor of Chemistry Gretchen Bielmyer-Fraser and Assistant Professor of Biology and Marine Science Melinda Simmons began their research in 2017. 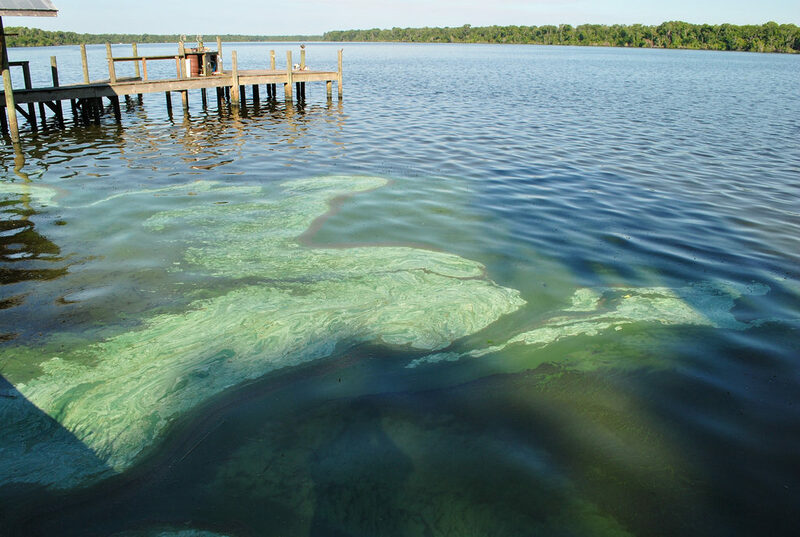 With chlorophyll-a fluorescence concentrations consistently above the impairment threshold for coastal and estuarine waters, findings reveal more than twice the Lower St. Johns River criterion. Chlorophyll-a values are used as a proxy for relative phytoplankton abundance and can be indicative of excess nutrients and harmful algal blooms. A concern voiced often in Northeast Florida. Water chemistry has varied seasonally and among the sites studied. Copper and nickel concentrations, in particular, have often fluctuated above acceptable limits. Researchers will explore potential harm to animal and plant life by continuing the time-series suite of measurements. Baseline concentrations for metals and nutrients will be determined. Seasonal and long-term variability in the rates of primary production will also be documented. Additional funding also comes from the Joy McCann Foundation. Joceff Ramirez, a graduate student, will assist as technician on the project. Understanding the value of collaborative, real-world experience is the force behind Collaborate JU. Working as a team, students and professors link arms and minds with industry experts to solve challenging problems. These experiences prepare students in ways only achieved outside the classroom walls. For more details about Collaborate JU or the Florida EPIC Program, visit the project archive. To contact the Office of Research and Sponsored Programs, visit ORSP online. To learn more about JU’s upcoming Student Symposium on April 1-2, visit www.ju.edu/research/symposium.